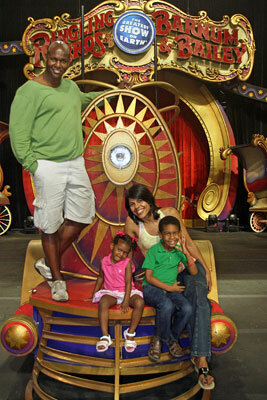 Recently, I had an opportunity to talk to Ringling Bros. and Barnum & Bailey (RBBB) Ringmaster, Johnathan Lee Iverson, and his wife Priscilla, a classically trained dancer from Rio de Janeiro, Brazil. When I first learned that I would have a chance to speak to Johnathan, I wasn’t sure what to expect. I imagined that he would have a loud, flamboyant personality—he is the Ringmaster after all! What I found was a genuinely candid, well spoken individual, who leaves no doubt in your mind that he passionately believes in the magic and wonderment of the circus! 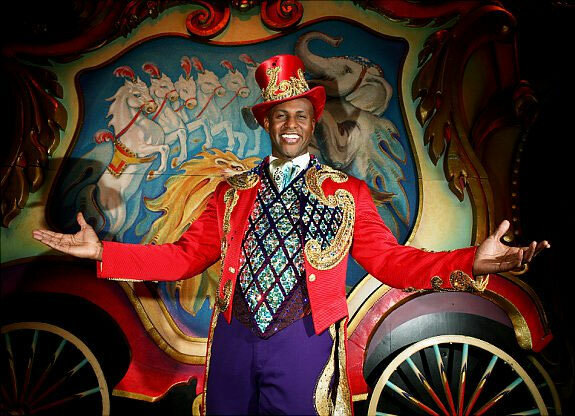 Johnathan has the distinction of being both the youngest and the first African American Ringmaster in the history of Ringling Bros. and Barnum & Bailey.He started with RBBB when he was just 22! At the time, Johnathan had graduated from University of Hartford’s Hartt School with a degree in voice performance. When the chance to become Ringmaster came along, Johnathan couldn’t pass up such a unique opportunity. A fun fact: Johnathan was named one of the ten most fascinating people of 1999 by Barbara Walters. 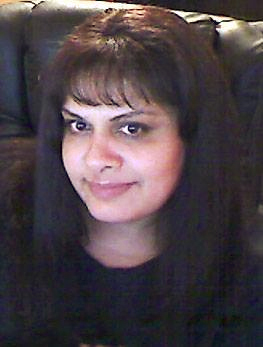 Johnathan met Priscilla when she joined the RBBB family in 2000. He playfully said that it was love at first sight “for Priscilla” and she laughingly agreed. They started dating in the summer of 2001 and later married. For their nuptials, the couple decided to keep things low key. Attended by Johnathan’s uncle, mother and grandmother and a few of Priscilla’s close friends, the couple said their vows in an intimate ceremony just after the morning performance while they were on tour in Chicago. With their busy schedules, they were back to work the same day! A fun fact: their wedding anniversary date is four days after Priscilla’s birthday and she used the flowers that Johnathan gave her for her birthday as her bridal bouquet. The couple has two children: six-year-old son, Matthew, and two-year-old daughter, Lila. I learned that Matthew and Lila Iverson, as well as the 16 children traveling with other show families, receive a well rounded education that includes academic studies and fun extra curricular classes such as piano, ballet, martial arts and even acrobat classes! RBBB provides a nursery school and day care for young children like Lila. Also, children have an opportunity to expand their educational curriculum by taking field trips in the cities where the show is scheduled. A perk to having the children on tour with them is that Johnathan and Priscilla can see them at any time. Priscilla’s schedule even allows her the flexibility to visit with her children in between performances—definitely a bonus! Johnathan greatly values the unique life lessons that their children are learning as well as the strong foundation they are developing for tolerance and acceptance of people from different cultures. Johnathan describes the circus community as a “true melting pot”. A fun fact: Circus folk love to barbecue and to celebrate the different ethnic traditions amongst themselves. In his role as Ringmaster, Johnathan is the host of all ceremonies and he guides the audience throughout the show, introducing and describing various segments of each performance. 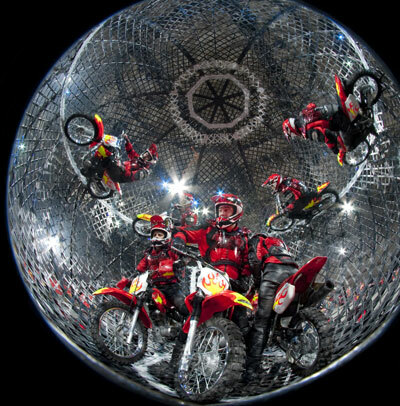 Timing is critical he explains, particularly with acts that “dodge death and danger” such as the Torres Family that performs with seven motorcycles in a 16-foot steel sphere, where speeds can reach up to 65 mph! We talked about some of the other acts (acrobats, high wire artists, contortionists, fire jugglers, trainers who work with large exotic animals, etc.). I certainly have a better appreciation of how these performers put their lives on the line every time they perform (or rehearse for that matter). 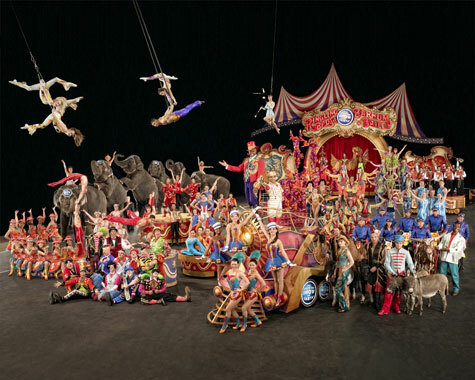 True to their word, Feld Entertainment, owners of Ringling Bros. and Barnum & Bailey, are producing their biggest show yet with the Barnum 200 coming to Dallas (July 27 – August 7) and Fort Worth (August 10-14). Not only will your ticket provide you with two hours of solid entertainment, but ticket holders can also attend an ALL ACCESS preshow on the arena floor an hour before show time. You can get up close and personal with performers, take photos, get autographs, try on costumes and learn circus skills. You get to see circus animals and the majestic pachyderms too, including Kelly Ann, the painting elephant. The preshow program also provides an opportunity for audience members to learn about the Ringling Bros. and Barnum & Bailey Center for Elephant Conservation, a program established in 1995 to preserve and protect Asian elephants. I learned that a portion of every show ticket purchased goes towards funding the elephant conservation program. Outside of entertaining millions of people each year, Johnathan mentioned that Ringling Bros. and Barnum & Bailey also reaches out to it’s communities through programs such as Reading with Ringling Bros. and sending clowns as ambassadors of good will to children who are in the hospital. How awesome is that? My family is really excited to see the circus. The circus experience is steeped in tradition and we’re looking forward to the thrilling performances of multi-generational circus artists. I’m glad to have had an opportunity to talk to Johnathan and Priscilla. It gives me a unique insight into the Ambassador of Magic and Wonderment and his beloved circus. You can celebrate the arrival of the Barnum 200 at the FREE birthday bash on Tuesday, July 26 at AT&T Plaza. To read all about this year’s circus show and to purchase your tickets online, visit the Ringling Bros. and Barnum & Bailey website. I’ll be posting a review of my family’s show experience so be sure to come back and check it out!